October 29, 1962. 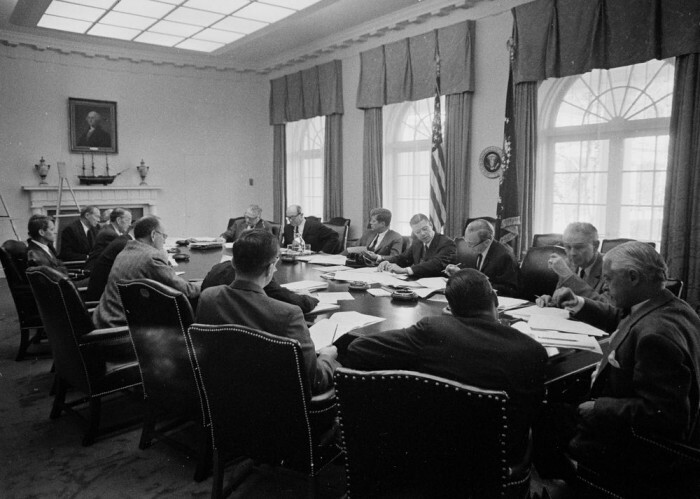 Meeting of the Executive Committee of the National Security Committee. [ARC Identifier 595950; Item from Collection JFK-WHP: White House Photographs, 12/19/1960 – 03/11/1964] National Archives, Unrestricted Use.